ere are the five book projects I've been involved with, as a writer or an editor. Back in the 20th century, the path to creative success was clear: just get signed by a record label, picked up by a publisher, or discovered by a movie studio. But in the 21st century, those entities not only spend less time hunting for unknown talent, they invest less in promoting the artists already on their roster. So the responsibility for building an audience now falls squarely on the artist's shoulders. 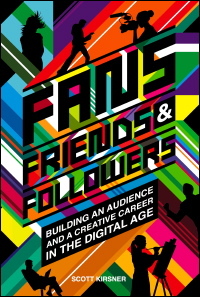 Fans, Friends & Followers explores the strategies for cultivating an online fan base that can support the artist's creative career, enabling her to do the work she wants to do and make a living at it. The book features thirty interviews with artists who have forged a new relationship with their audience and developed new business models. From Edison to the iPod, from the Warner Brothers to George Lucas, the story of how the movies became America's favorite form of escapist entertainment - and retained their hold on our imaginations for more than a century - is a story of innovators prevailing again and again over skeptics who prefer to preserve the status quo. How else could the cinema have survived from the 1890s into the 21st century? Inventing the Movies unspools the never-before-told story of the innovators who shaped Hollywood: how a chance meeting at the Saratoga Race Track led to the end of black-and-white movies ... how Bing Crosby brought you the VCR ... how Walt Disney tamed television ... how a shotgun blast signaled the end of hand-made models and the beginning of digital special effects ... and how even the almighty Morgan Freeman and uber-entrepreneur Mark Cuban had trouble persuading theater-owners that the Internet wasn't their mortal enemy. 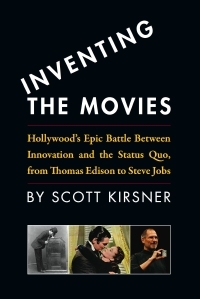 I wrote it not just for fans of Hollywood's history, but for innovators trying to make change happen in any industry. The book's Web site is here. How is the emerging Web video ecosystem different from visual media we're familiar with, like broadcast TV, cable, and cinema? What new business opportunities (and challenges) does it present? Those are the two main questions I try to answer in this 100-page book, available in both paperback and downloadable form. The Future of Web Video opens up with an essay that explores some of the ways that the relationship between creator and audience is changing online. The book also includes interviews with Internet video pioneers like Steven Starr of Revver, Jeremy Allaire of Brightcove, Gregg Spiridellis of JibJab Media, Judson Laipply ("Evolution of Dance"), and Fritz Grobe ("Extreme Mentos and Diet Coke Experiments.") There are also perspectives from network and cable TV execs, and big thinkers at advertising agencies. 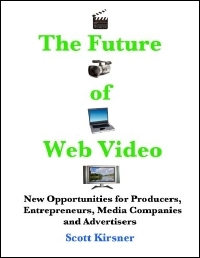 Plus, charts, stats, and predictions about where Web video is headed. Second edition published March 2007 on Lulu.com. 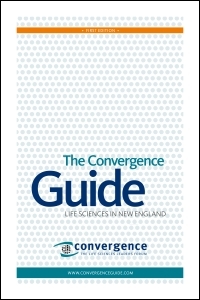 Published in October 2006, The Convergence Guide: Life Sciences in New England is the first book to explore the life sciences economy in that region of the country. New England is the only place where you'll find major biotech companies like Genzyme, Vertex, and Biogen Idec alongside incredibly productive academic research centers like Harvard and MIT; pharmaceutical R&D outposts set up by Merck, Pfizer, Novartis and others; medical device firms like Boston Scientific and Abiomed; world-class hospitals like Mass General; bio-IT companies like Phase Forward and Spotfire; and some of the world's biggest and most active life sciences venture capital firms. A second edition, in paperback, was published in June 2007. Did you know that Alexander Graham Bell and Thomas Edison once worked in the same laboratory in downtown Boston? 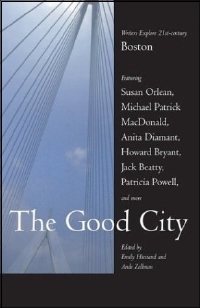 Editors Ande Zellman and Emily Hiestand invited me to contribute an essay about Boston's heritage of scientific and technical innovation for The Good City: Writers Explore 21st Century Boston. The essay starts in the era of Edison and Graham Bell, and ends with living innovators who work at companies like iRobot, Konarka Technologies, and Genzyme. The book was published in mid-2004, to coincide with that year's Democratic National Convention, held in Boston. You may recall that the nominee that year was John Kerry; the book was published by Beacon Press, which is located just a few blocks away from the Beacon Hill townhouse that Kerry shares with Theresa Heinz.